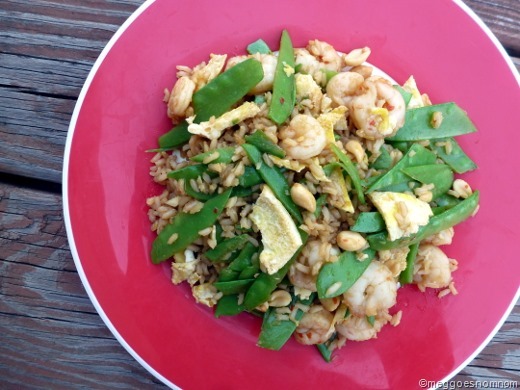 Two Weeks of Nomming: 5/25-6/7; And a look ahead! It’s been two weeks since my last meal recap. Last weekend I just didn’t get a chance to pop-in, so I made a point to get caught back up at looking back over the last two weeks of noms this weekend. Thanks for stopping in! 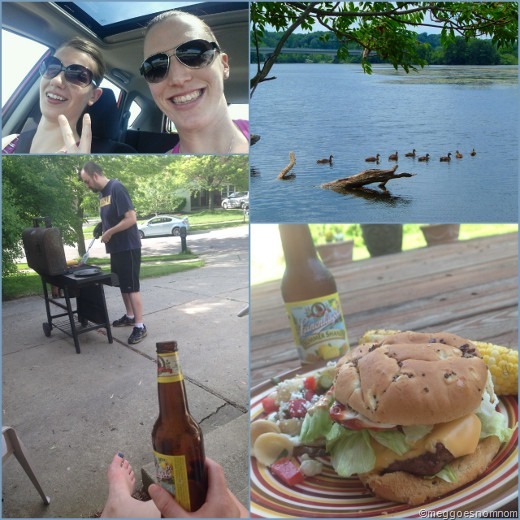 After a fun day spent kayaking down the Huron River (love the Barton to Gallup trip) with my BFF, the huz and I grilled burgers for dinner. What a perfect day! 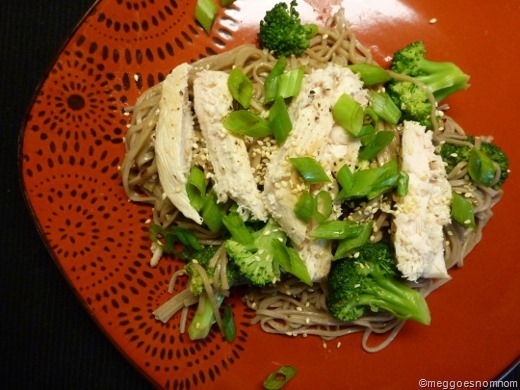 This recipe from the June issue of Cooking Light was merely okay. 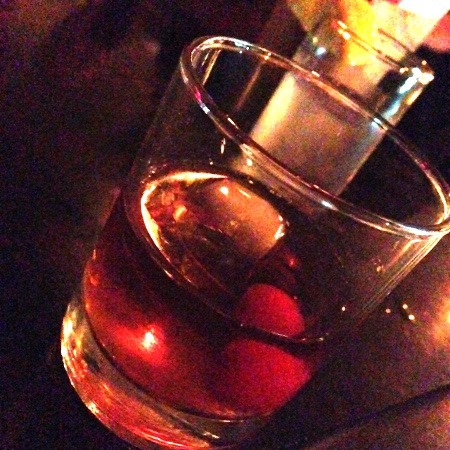 Not blog-worthy, nor particularly recommended. Didn’t hate it, didn’t love it. 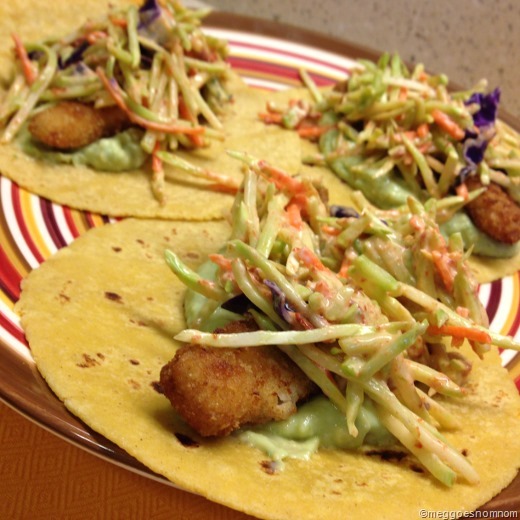 Crispy fish sticks; crunchy, creamy, and smoky chipotle slaw, and luscious avocado crema. These never get old! Friday 5/30: Out to dinner at Palm Palace for Five Cent Femme’s birthday. 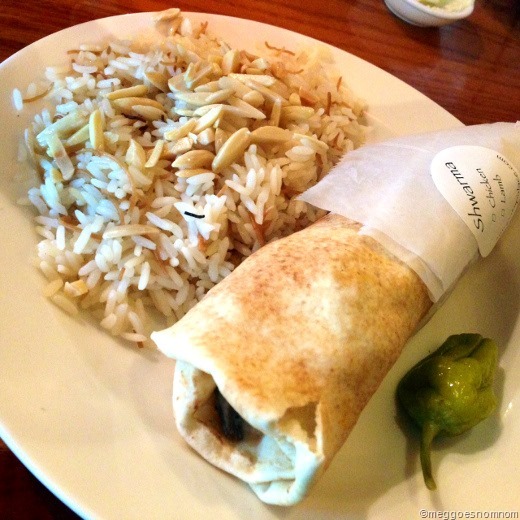 I had the lamb shawarma wrap with rice and salad. Later we ventured downtown with several of her colleagues for a night out. 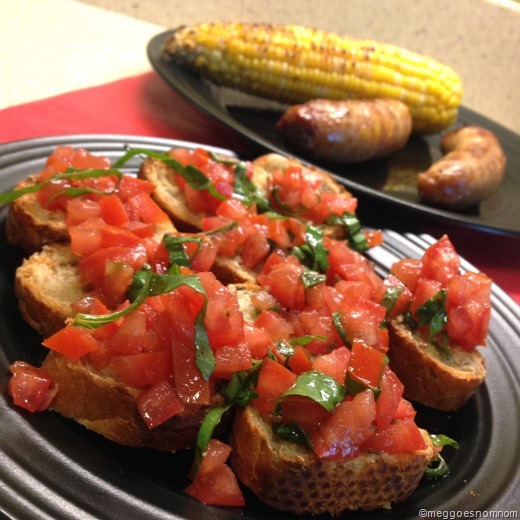 Grilled Brats and Corn on the Cob; Tomato Bruschetta. Mmm! 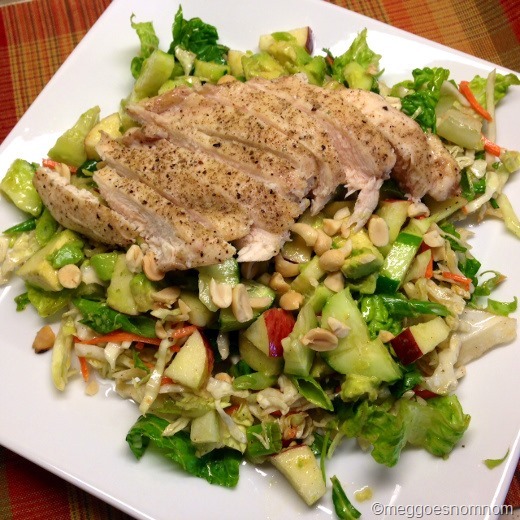 Crunch Lover’s Chopped Chicken Salad with Chili-Lime Vinaigrette – recipe from Iowa Girl Eats. 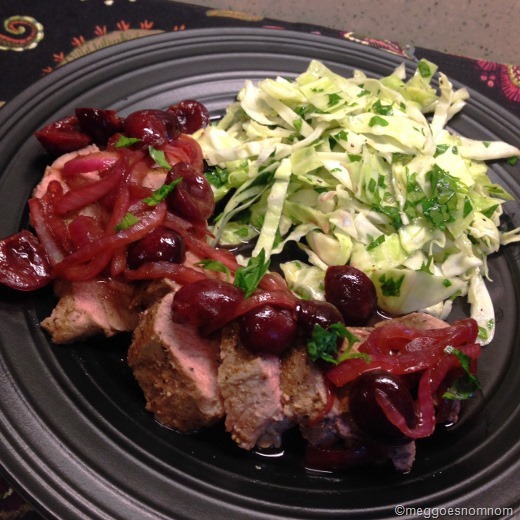 Pork Tenderloin with Roasted Cherries and Shallots – a fabulous recipe from Cooking Light. Post coming soon! I served it with a simple cabbage and parsley slaw dressed in apple cider vinegar, EVOO, and salt and pepper. 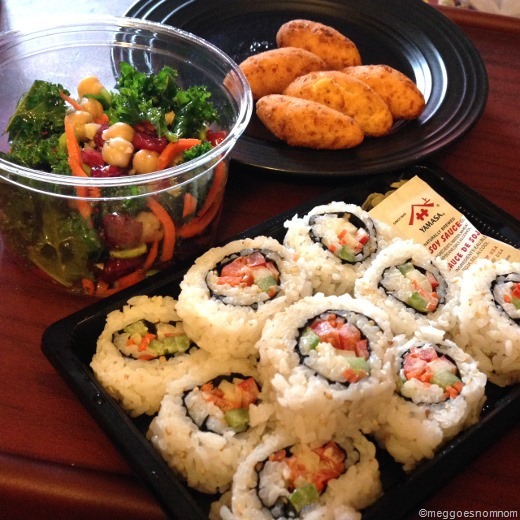 Veggie Sushi and Kale Salad from the prepared foods section of Produce Station. Also the huz brought me home a side of hushpuppies from Old Carolina BBQ! 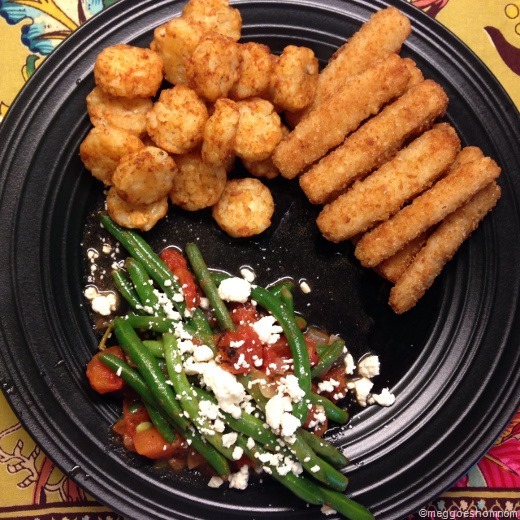 Quick and easy dinner of tots, fish sticks, and Oregano Green Beans, utilizing fresh oregano from my mini potted herb garden. 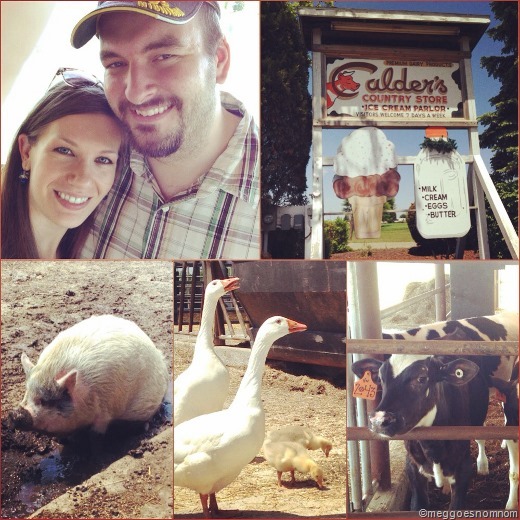 A couple weeks ago, huz and I walked by China Gate and realized we hadn’t been there in ages! 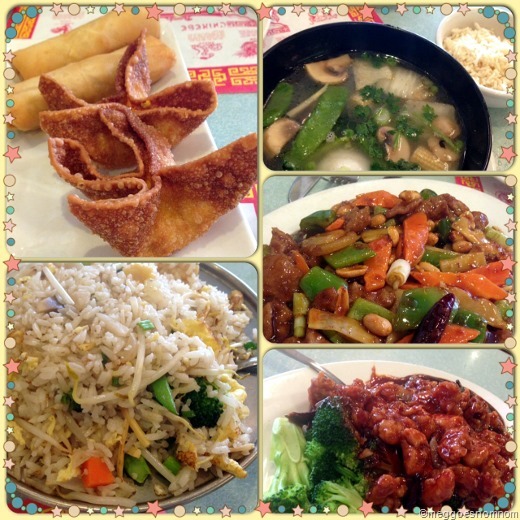 China Gate was a favorite dining destination for us as undergrads at U-M. 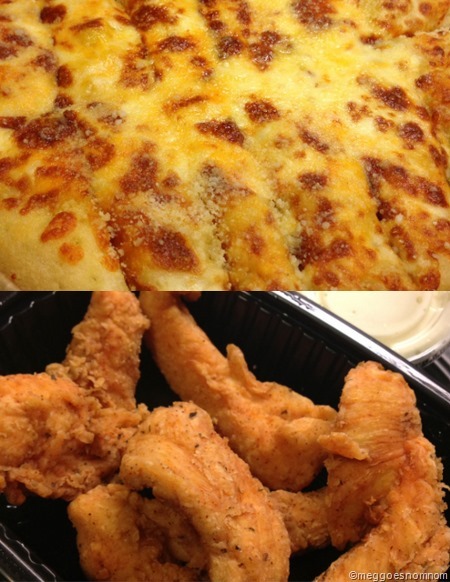 Finally, this past Friday, we made it in for an old throwback meal. Their food is so good! We anticipated lots of leftovers and even brought a cooler full of ice with us, since we had plans after dinner. Haha, we are nerds. But I’m not about to waste all those delicious Chinese leftovers! We like ordering the “Dinner for 2,” which comes with crab rangoon and spring rolls, sizzling rice soup, fried rice, and two entrees (we did General Tso’s Chicken and Kung Pao Beef). So good! I love how everything is served PIPING hot, straight outta the wok. No pics. I stayed in and noshed on Whole Foods’s guac (of course), cheese, and grapes. Exciting. Monday: BBQ Chicken Chopped Salad, also from Iowa Girl Eats! In other news, remember my post about the Esporão Wine Tasting at Aventura? 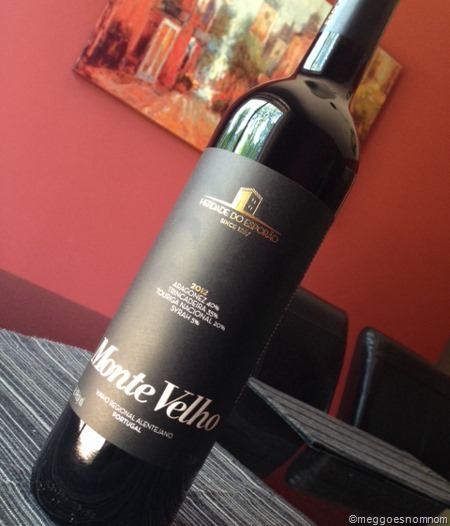 Well the folks at Esporão saw it too, and graciously hooked me up with a bottle of my favorite wine from the tasting, the Monte Velho Tinto, a blend of four Portuguese reds. Can’t wait to uncork this! Thanks Esporão! 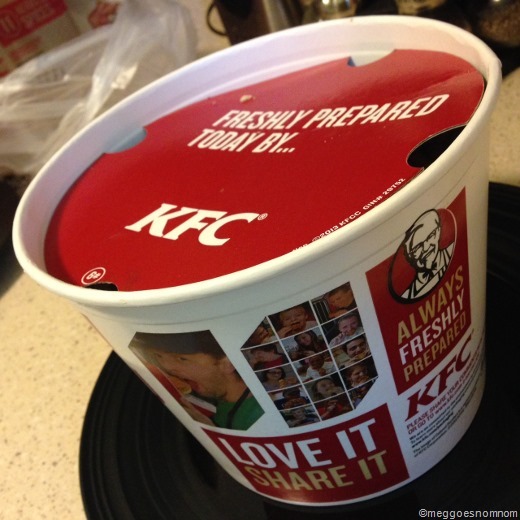 Has anyone else ever taken a cooler out to dinner, to bring home your restaurant leftovers? Have you ever tried Portuguese wines? What is your favorite?